The weekend of March 22/23 saw a number of Kingston Impact teams busy at tournaments throughout Eastern Ontario. Showing the depth of the club's boys programs, success was experienced from our youngest athletes to our oldest. Congratulations go to both of our Atom aged teams. 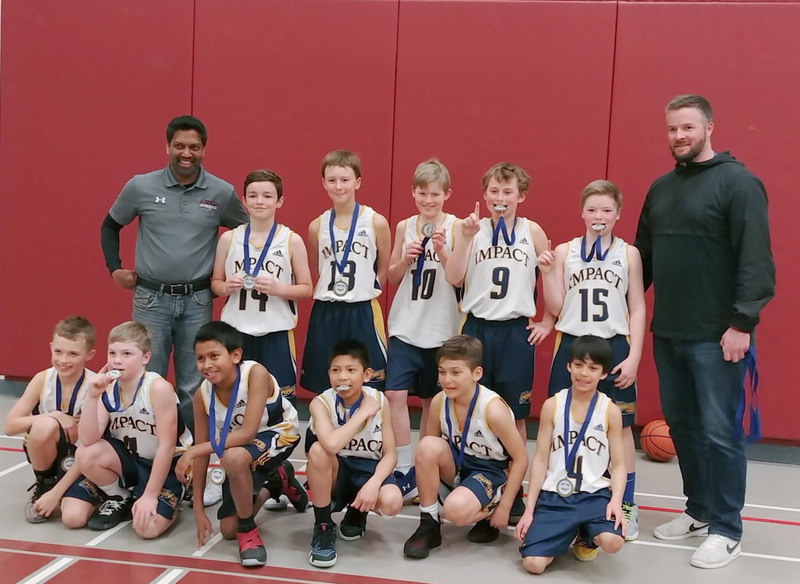 The Minor Atom Boys team under the leadership of Duncan Cowan and Suche James finished their EOBA season as champions of their division, while Doug Cross' Major Atom Boys team avenged an earlier season loss in winning the Stacey Dales Tournament in Brockville. The club wishes both teams luck as they head to provincials. The older boys teams also experienced excellent success over the weekend. 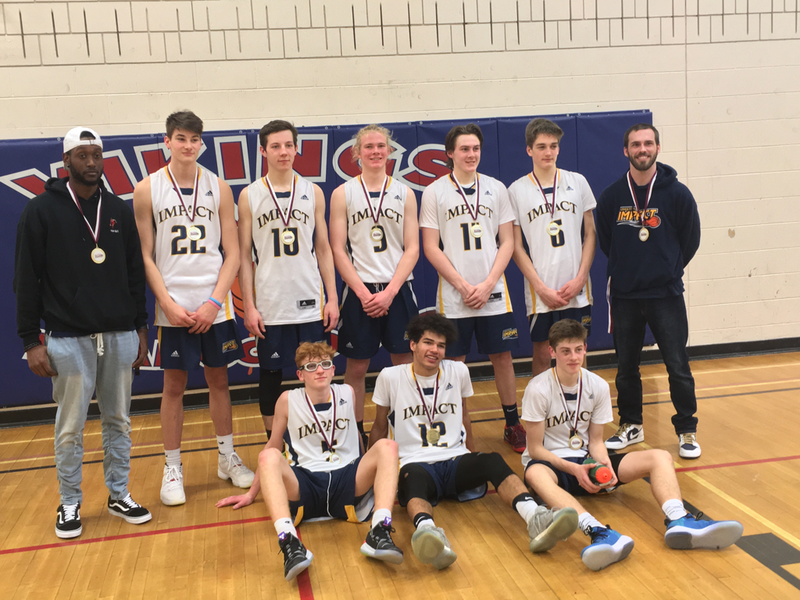 As the Juvenile, coached by Brock McArthur, and Junior, coached by Jermaine Small, teams continue to build off their successful starts in the Canadian Youth Basketball League (CYBL), both left the weekend as tournament champions in their respective divisions at the Ottawa Next Level Capital Classic. Special congratulations go to tournament All-Stars Juniors Cole and Luka Syllas, and Juvenile Sam Playter.